Maintaining a fleet of trailers to keep them in ideal condition is crucial to keeping them on the road making money. 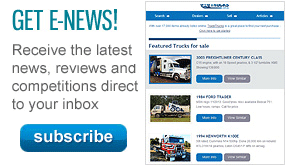 General manager of trailer dealer MaxiTrans Victoria Neil Zantuck explains. 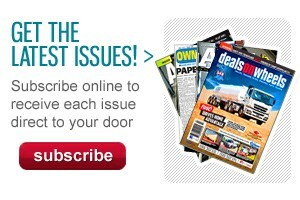 Trailer maintenance will save operators money. Due to a number of highly publicised incidents in the past 12 months, there are conflicting media reports on how much maintenance is really being done in the trucking industry. It is said harsh market conditions are leading some operators to skimp on this extraordinarily important aspect of doing business. The simple truth is equipment that is serviced properly stays on the road being productive, while that which is laid up due to lack of necessary maintenance is money down the drain. It’s as logical and inescapable as night following day and works for trailers as much as any other asset, especially in the form of increased efficiency and up-time. Getting it right and keeping your trailers on the road can be as simple as operators following the recommended service intervals. No one knows the efficiency of a trailer more than the manufacturer. If the manufacturer provides service instructions, it does so for a reason — service instructions are there to help you to keep your equipment in prime condition, on the road, making money. The first service is often designed to catch any issues within the first 60 days of purchase or first amount of distance covered — say 20,000km. If it is free, an operator shouldn’t want to skip it. Even if it’s not, it’s still worth making the outlay to ensure your trailer is 100 per cent ready for the potential millions of kilometres ahead of it in its life. Following the first service, a typical periodical trailer service will check wheel bearings and braking systems, perform a general suspension check, check tyre pressures and do visual checks for body damage — both internal and external. Due to those ‘incidents’ I mentioned previously, there is also a recent increased focus on servicing tow couplings and fifth wheels — and rightly so. Along with the brakes, these are some of the most important components to be serviced as they relate to the safety of other road users, as well as the driver. Check that your service workshop performs regular inspections and maintenance of tow couplings and fifth wheels, in accordance with the manufacturer’s instructions. If your current workshop doesn’t offer these as part of their standard service, that’s a good indicator that it’s time to begin looking for a new supplier. 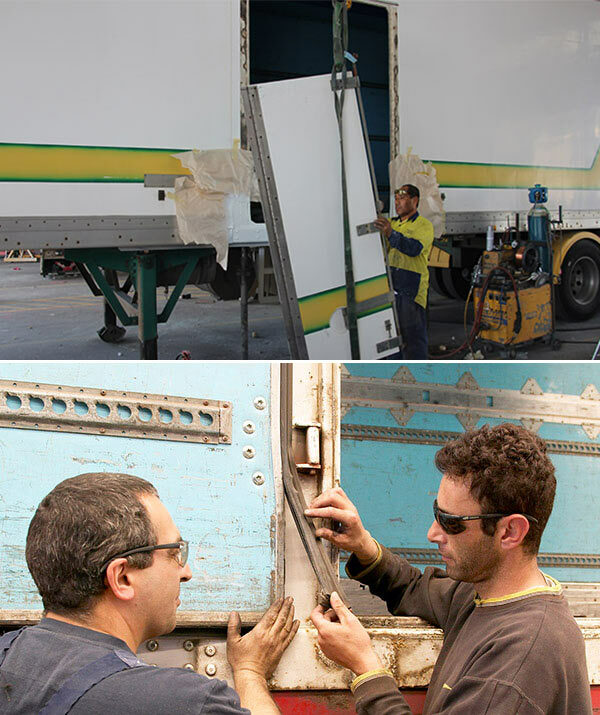 Damaged door seals can impact the efficiency of the trailer’s overall temperature performance. There are some specifics that should be checked with specific trailer types, too. Refrigerated vans require operators to spend time ensuring the door seals are in good shape. Damaged door seals can impact the efficiency of the trailer’s overall temperature performance and hence use more fuel and risk damaged loads. It’s important to take care of door seals throughout the life of the trailer. Structural issues on refrigerated vans including cracks or holes in the walls can also, if left unchecked, let moisture into insulation and create further damage. Several other common maintenance issues to look out for during the life of the van include the LoadLok coming off due to forklift damage, scuff bands getting damaged from wear and tear, and roof duct damage. It’s important to maintain close monitoring on all of these issues, at all times. For tautliners operators should look for curtain wear, forklift damage and buckle condition. If the curtain sider has automatic tensioning curtains, check the mechanism is adjusted properly to maintain the correct tension. This is easier on some models than it is on others. There are also models that maintain this adjustment automatically. On skels, it’s important to check the twist-locks are in good working order. On tippers, regular hydraulics maintenance is important to ensure the trailer keeps on tipping, and tipping safely, every time. Quality repair workshops offer all of these trailer services and more, along with quick availability of replacement genuine parts. It’s important to be aware of, because not all of this can be done in a transport company’s workshop. Before and after: this burnt out trailer was repaired to ‘better than new’. As an industry, we tend to work our trailers hard. One of the key points is to have an experienced service centre workshop that can professionally handle all these aspects of trailer servicing and repair. That may be through your transport company’s own workshop, a trailer manufacturer’s service centre or through an independent trailer servicing centre. Though it may not be for every operator, one of the key trends for trailer manufacturers is to develop an ongoing relationship with customers long after the equipment is driven out the door and this can include one or all of service support, parts and major repairs. Some trailer manufacturers have developed efficient and comprehensive national service facility networks with the capability to assist their customers in every state by servicing the trailers and keeping them on the road. The advantage to those using advanced equipment is that these facilities have direct factory links, adding a degree of extra knowledge to the specific trailer repair. 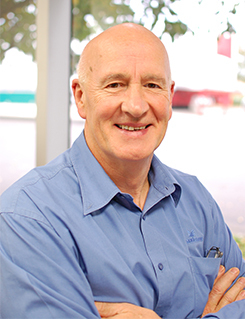 Neil Zantuck, general manager of MaxiTrans Victoria. Major damage to trailers isn’t only caused by lack of maintenance, but also through accidents and rollovers. Many of the larger manufacturers and indeed, some of the smaller ones, have the ability to repair badly damaged or burnt-out trailers to a condition that is better than they were before the accident. It is incredible to see the before and after photographs of some of these repairs. In many cases, you would think writing the trailer off would be the only option with walls caved in or roofs torn off. It’s hard to imagine how such badly damaged trailers can be repaired until you see the fixed trailer, which looks as if it is brand new (and often for a fraction of the price). The same can be said for all kinds of service and repairs. From the smallest issues to the largest, regular servicing and maintenance will keep your trailers looking and performing like new for longer. That means equipment that’s on the road, working more efficiently and as a result, earning you more money.